Dentist in Jenkintown: How Do People Stain Their Teeth? How Do You Stain Your Teeth? “Look at your teeth!” followed by fits of giggles is always the start of a good time. 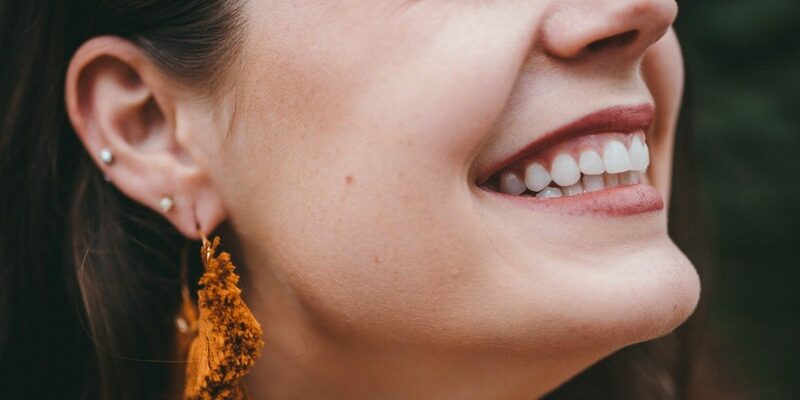 Whether you’re a child and that delicious sucker has turned your teeth blue or an adult with red wine stains on your teeth during your night off, it’s funny to see your teeth change colors! But what’s really happening to your teeth beneath all that sugar? Bad news, that’s what! First, we gotta explain, that each one of your teeth is like a Skittle. Fun, right? Skittles, as we all know, have a hard outer coating that cracks under force, melts over time, and can sometimes be damaged when rammed against other Skittles (if you’ve never played Skittle table hockey, we highly suggest it). Once you break through that tough surface there’s a soft, white core where all the delicious fruit flavored sugar is. Your teeth work much in the same way! Each tooth is surrounded by a hard outer shell that over time erodes, cracks under pressure, or can be damaged if rammed against other hard objects. This translucent casing is called your enamel and it protects the soft, white core of your tooth where all the nerve endings and “meat” of your tooth is. Unlike your fingernails or your hair, your teeth stop growing at a certain age. Enamel is not regenerative, so once you crack or break it, the only option is to have a crown or filling put in to recreate that protection and keep your teeth safe. While common procedures like fillings aren’t always necessary, your enamel will still continue to thin over time. The enamel wears down and gets chipped from constant use, making the casing less protective and ultimately allowing for harmful bacteria to access your inner tooth. The most common consequence of enamel wear down is tooth discoloration and permanent color stains on your teeth. Ever heard of a coffee smile? How do color stains happen? Coffee smiles, red wine teeth, and sugary drinks are all common types of enamel discoloration. While your teeth may look smooth and pretty in the mirror, on the microscopic level they are actually bumpy and covered in small craters like the moon! Drinking stuff other than water every day will eventually cause the acid in the beverages to embed itself in the teeny tiny cracks and divots of your teeth, giving your overall smile a discolored look. Other foods that commonly cause discoloration are pasta sauce, berries, curry, and balsamic vinegar. All of these foods are highly acidic and have rich dyes that leave deep colors on all things, not just teeth. Ultimately, we’re not going to say to never eat these foods! That would be ridiculous. We will say though, that everything is best in moderation. Plus, don’t forget to brush your teeth! Especially if you’re young, it’s best to keep your enamel as healthy as possible for as long as possible. For all you daily coffee drinkers out there, we have a frequently asked question that needs to be addressed. Putting cream in your coffee to make it a lighter color does NOT change the stain effect on your teeth. The amount of cream you’re probably using is not disproportionate enough the acidic concentration of the coffee itself. Therefore, unless you’re drinking a glass of cream with a splash of coffee, your teeth will still become stained a soft brown color. Can you only damage the outside of your teeth? No! Damage to your teeth is often done on the outside enamel, especially when it comes to food. Which is good, that’s literally the enamel’s function — to take the brunt of food damage and protect your teeth in the process. There is a type of damage that can be done under your enamel to your tooth meat. This is called fluoride damage. Fluoride, like everything else, is healthy in small doses but it’s important to make sure you’re not overusing fluoride, especially with children. Intrinsic damage to the tooth is harder to repair than damage to enamel, though it can be done. Are smiling at yourself in the mirror right now and are not satisfied with your pearly whites? Well then, dump the rest of that coffee down the sink, give us a call at Chess & Taub Family Dentistry, and schedule an appointment to make your smile shiny and brilliant again!